Nisha Sarangh is an Indian actress working mostly in Malayalam films and television serials. She is very popular among Malayalam audience as Neelima (Neelu) in Uppum Mulakum comedy serial on Flowers TV. Nisha faced camera for the first time for Agnisakshi, a malayalam movie by Shyamaprasad. She took a break from acting following her marriage. Later, she debuted on malayalam television screen through the serial Durga. 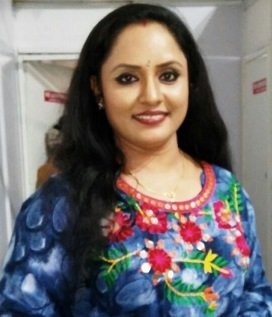 Following which she was part of many malayalam serials including Aranazhika neram, Januray, Alilathali, Veendum jwalayayi, Indumukhi chandramukhi, Vadhu, Banduvaru Shathruvaru and many more. She got a much awaited break on mini-screen through Uppum Mulakum where she plays the role on Neelima, a house maker who has four kids and a nagging husband. She got the role after participating in Kutti Kalavara on Flowers TV. Nisha portrayed the role on Neelima in Uppum Mulakkum with so much and ease, which won her a huge fan base. Nisha is also a great cook. She participated in Kairali TV's Celebrity Kitchen Magic hosted by Lekshmi Nair. 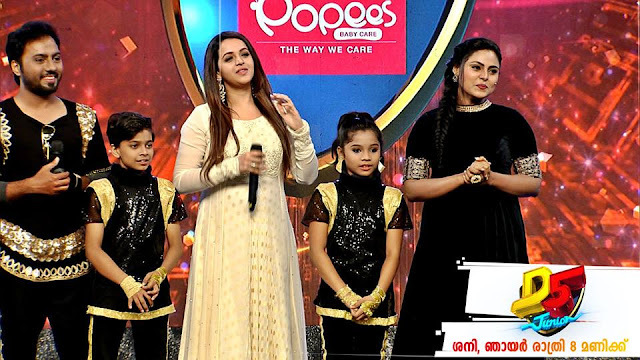 Nisha Sarang and actress Anila Sreekumar were the first prize winners in this competition. Later she became part of kids cookery show Kuttikalavara on Flowers TV. That paved her way to the super hit comedy serial Uppum Mulakum by R Unnikrishnan. Nisha hails from Palluruthi in Ernakualam. She is the daughter of Shargadharan and Shyamala. Nisha got married to her cousin at an young age and has two daughters Ravathy Chandran and Revitha Chandran, both are students. Nisha completed her under graduation from SN College Kollam, after her marriage. Nisha was trained in music and dance from an young age, with specialization in Bharatnatyam. She lives currently with her family in Kakkanadu in Ernakulam. She has mentioned in many interviews that her life was not a happy one and she struggled to make ends meet. It was her acting career that helped her to improve her life. She also said that she is an independent family loving women who likes to be happy and take everything positive by ignoring troubles on the way. She likes to be part of more movies than to appear on TV screen.